Internet addiction can be a serious productivity killer. The net is full of all kinds of digital distractions and unless you know how to effectively manage your online time, you will always have issues with your productivity. Over the last few years, we have reviewed a number of key apps and tools to help you fight digital addiction and control your online time, most popular of them all is Pomodoro. 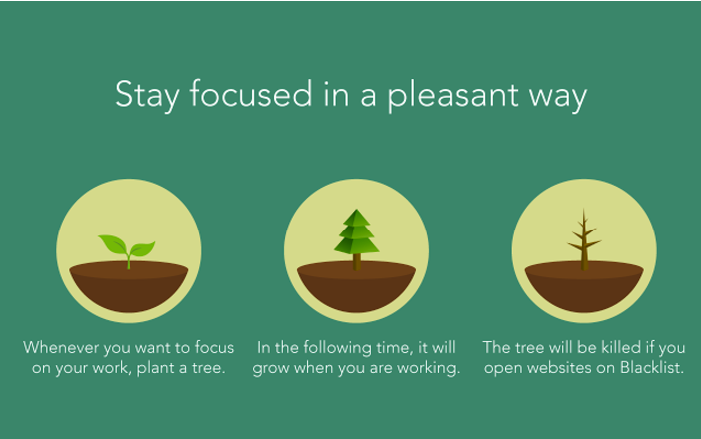 Today, we are introducing to another cool tool to help you stay focused and on task. • Share your trees with friends’.